Request a quote for a bulk order for H4K8ac polyclonal antibody - Classic. Please fill out the form here below. Your local sales account manager will get in touch with you shortly and send you a quotation based on your requirements. 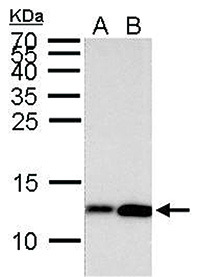 Polyclonal antibody raised in rabbit against Histone H4 (acetyl Lys8) (histone cluster 1, H4a), using a KLH-conjugated synthetic peptide. * Optimal dilutions/concentrations should be determined by the researcher..
ChIP results ChIP was performed with HeLa chromatin extract treated with Trichostatin A (0.4 μM for 18 h) and 5 μg of either control rabbit IgG or H4K8ac antibody. 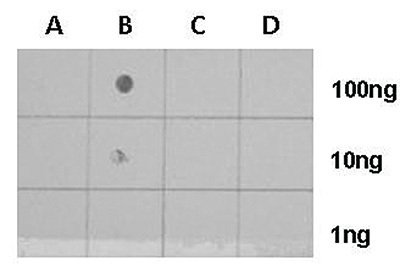 The precipitated DNA was detected by PCR with primer set targeting to GAPDH or TEXT12. H4K8ac antibody detects Histone H4 acetylated at Lys8 by Western blot analysis. 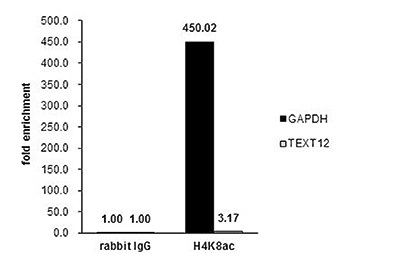 B: Control with 2.5 μg of pre-immune rabbit IgG C: Immunoprecipitation of Histone H4 acetylated at Lys8 by 2.5 μg of H4K8ac antibody. The immunoprecipitated Histone H4 (acetyl K8) protein was detected by western blot with the H4K8ac antibody diluted 1:5,000. H4K8ac antibody detects Histone H4 acetylated at Lys8 in the nucleus by immunofluorescent analysis. Sample: HeLa cells were fixed in 4% paraformaldehyde at RT for 15 min. Green: Histone H4 acetylated at Lys8 stained by H4K8ac antibody diluted 1:500. Red: alpha Tubulin antibody, a cytoskeleton marker. Blue: Hoechst 33342 staining. 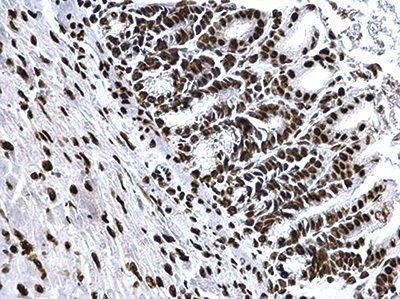 IHC results H4K8ac antibody detects Histone H4 acetylated at Lys8 at nucleus on mouse duodenum by immunohistochemical analysis. Sample: Paraffin-embedded mouse duodenum. H4K8ac antibody dilution: 1:500. 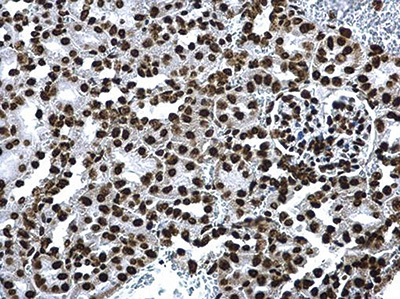 IHC results H4K8ac antibody detects Histone H4 acetylated at Lys8 at nucleus on mouse kidney by immunohistochemical analysis. Sample: Paraffin-embedded mouse kidney. H4K8ac antibody dilution: 1:500. 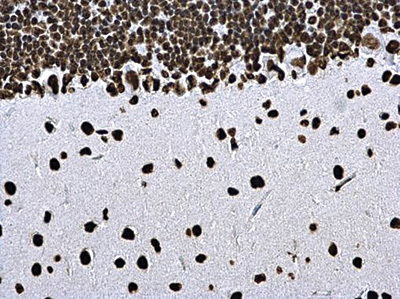 IHC results H4K8ac antibody detects Histone H4 acetylated at Lys8 at nucleus on rat hind brain by immunohistochemical analysis. Sample: Paraffin-embedded rat hind brain. H4K8ac antibody dilution: 1:500. Diagenode strongly recommends using this:	H4K8ac polyclonal antibody - Classic (Diagenode Cat# C15410235-100 Lot# 41423). Click here to copy to clipboard.